Well known for its excellent and affordable Texas-Mexican food, San Antonio is the seventh largest city in America, and it continues to grow each year. Home to major industries and members of our nation's military, it's no wonder Texan residents are a die-hard in their love and pride of this city. The architecture around the city reflects the Spanish and Mexican styles of some of the city's earliest inhabitants, which makes San Antonio true to its historic roots. There are hundreds of homes for sale in San Antonio at a median listing price of 250's. 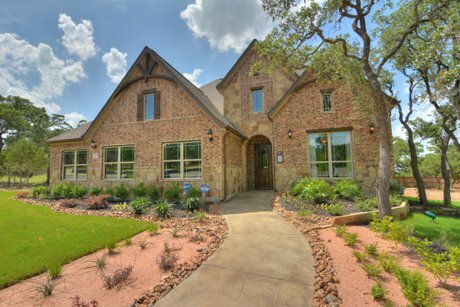 You can choose a beautiful home in one of the popular neighborhoods like Alamo Heights, Stone Oak, and Boerne, or a picture-perfect in one of the historic homes in New Braunfels. Being the seventh largest city in the country, each neighborhood is all within city limits but are "incorporated cities" with their own fire department, police department, health care, etc. San Antonio has a neighborhood just right for everyone where you feel most at home. No matter what you are looking for, we have it! San Antonio has a cost of living index of 92, which is eight points lower than the national average of 100. This score is taken into account of number factors, such as housing, utilities, transportation, grocery expenses, health cost, and other miscellaneous costs. Even being part of the ten largest cities, San Antonio is actually affordable to live in. This featured home for sale in San Antonio is located in the northern area with 3 bedrooms, 3 baths and an area of over 2,400 square feet which is listed at the average median price. But housing is not the only thing that is low in regards to the cost of living. To top that off with the fact that the state of Texas has no income tax, and you have the affordability of heaven. With all these factors, thinking of buying a home in San Antonio? Our AE Realty office and with years of experienced Agents, we're here to help to make you reach your dream home. "I was assigned Jason as my realator by Veterans United in completing my loan application for a VA home loan. They(VU) couldn't have a better choice. ... more "
"Juan was incredibly wonderful to work with. He is extremely knowledgeable about real estate. He knows the market and the area very well. He made my ... more "
"It was great working with Jason! He always answered his phone and had a really good understanding of the local market. He helped us sell quickly and ... more "